Our plumbing and heating services cover any commercial or domestic problem from installing a new bathroom to fixing a leaky tap. Based in Rochester Kent, we can offer a quality plumbing service throughout Kent and South London, offering a quick and reliable service from qualified engineers. Finding a reliable plumber in your area that is responsive, friendly and highly qualified can be a problem. 1st About Plumbing is the answer. We offer plumbing services in Rochester, Strood as well as Kent and South London. We have a fully qualified crew of drainage specialists, experts in both domestic and commercial environments. Using our fully equipped vans that include jetting equipment for unblocking and the latest in camera technology to identify the problem. 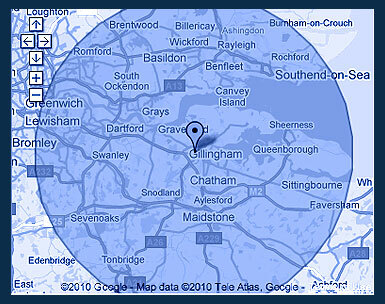 We also have fully qualified gas engineers working throughout the South East region. Qualified in both domestic and commercial gas services, rest assured we can fix your heating problems fast and at a reasonable price. We are happy to carry out inspections on all gas central heating and gas appliances including thermostats, valves and boilers. Our location gives us the upper hand as we are within 30 minutes of locations including most of West Kent, South London and on the doorstep of Medway towns including Rochester, Strood, Chatham and Gillingham.